Photograph 1 - A bear hunter - there must be one out thar - nope!! 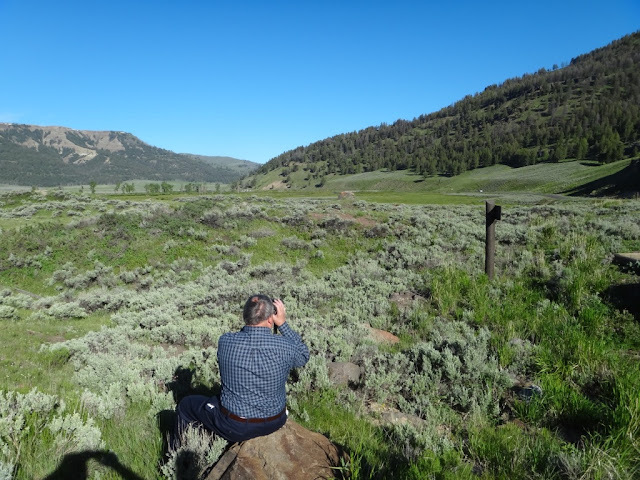 In the Lamar Valley, Yellowstone National Park, Wyoming. 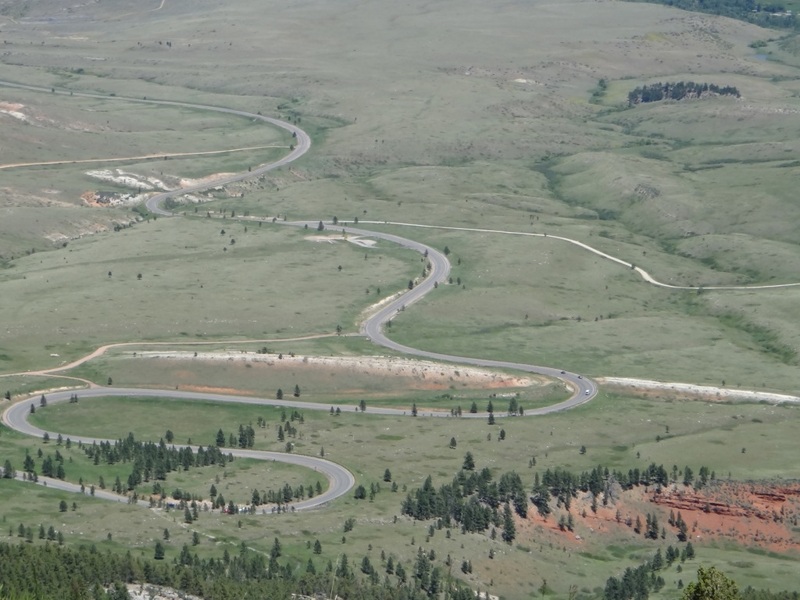 Photograph 2 - Leaving beautiful Yellowstone National Park at the north-east entrance, Wyoming. 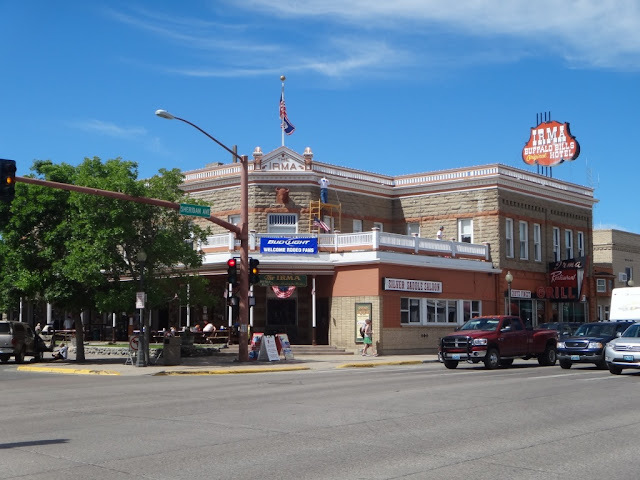 Photograph 3 - The famous hotel in Cody, Wyoming the Irma. Calamity Jane, Annie Oakley and naturally Buffalo Bill (William Cody) stayed there in the early 1900s. Old Bill had a private suite there and still is a guest room - how much for a night????? - don't know. Photograph 4 - Me thinks this is a WW2 B24 Liberator, located at the Greybull Museum of Flight and Aerial Firefighting, Wyoming. Photograph 6 - Hah, this town (Upton, Wyoming) with 1,000 people have high hopes! Just another fuel stop on the way to South Dakota. 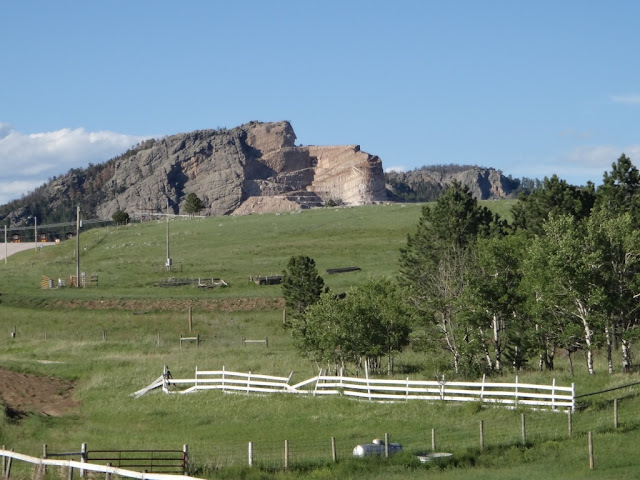 Photograph 7 - The is the unfinished Crazy Horse Memorial near Hill City, South Dakota. Taken from the roadside. 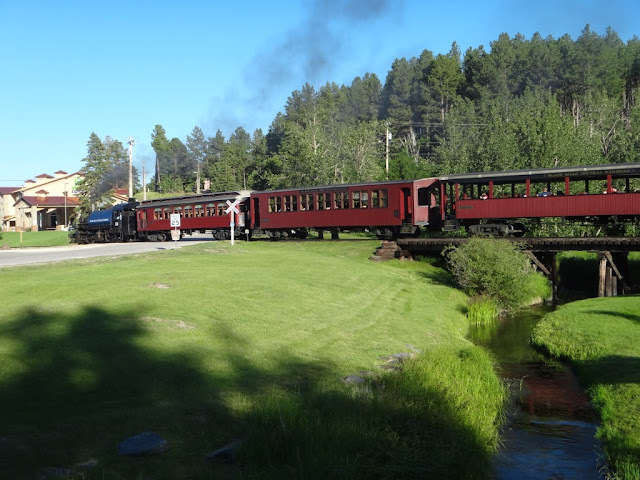 Photograph 8 - The Hill City to Keystone Tourist train at Hill City, South Dakota. Note the building on the left - this is our hotel. Hill City is in the Black Hills of Dakota. Remember the lyrics to the Doris Day's Black Hills of Dakota? "Take me back to the Black Hills of Dakota ...........where the pines are so high that they kiss the sky above" Well the pines are not that high and the hills are heavily in tourist mode. Calamity Jane would be turning in her grave. Notwithstanding that, the Black Hills are scenic and inspiring. It was an 11 hour journey from Gardiner, Wyoming to Hill City, South Dakota. We left at 7am and the way out of Yellowstone NP was slow (cars in front looking out for bears). Once out we found Cody. Neil bought some new shoes as his Anaconda (Ozzie) hiking boots had done their time. He bought a pair of Merrills for half the cost they would be in Australia. Cody is famous for Buffalo Bill who we know as William Cody. The Irma Hotel (see picture above) was his creation and now is a tourist site - but guests still can stay in their western-decked out rooms. The journey from Cody took us over the Bighorn Mountains (not to be confused with the Little Bighorn Mtns many miles away). 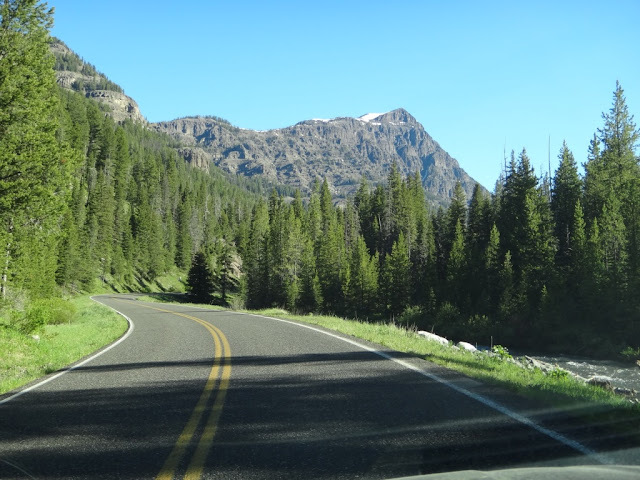 The Bighorns are tall mountains and the drive down the eastern side was spectacular. 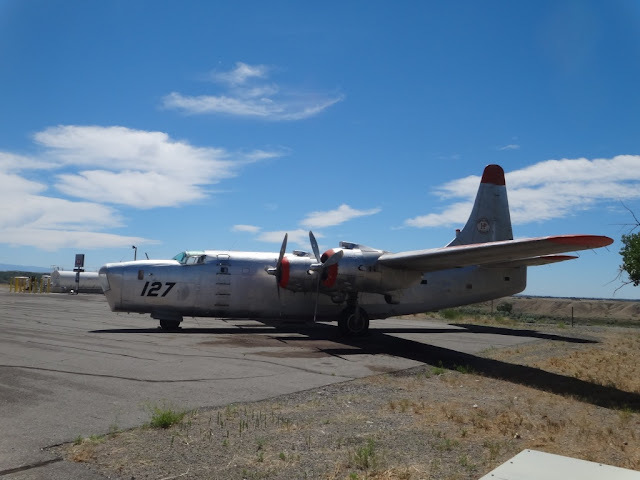 Prior to the Bighorn there is a Museum for flight and Aerial Firefighting at Greybull. Many old aircraft are standing on the tarmac being refurbish. Aircraft such as C130A, PBYs, Neptunes, Orions, C116, and a B24 Liberator now stand. Good for Neil who loves old warbirdz. We joined the I-90 at Ranchester and went through Buffalo, Gillette and turned off at Moorcroft. We decided to hit the Black Hill of Dakota from the south (an easy route) as 11 hours is tough on us old folk. 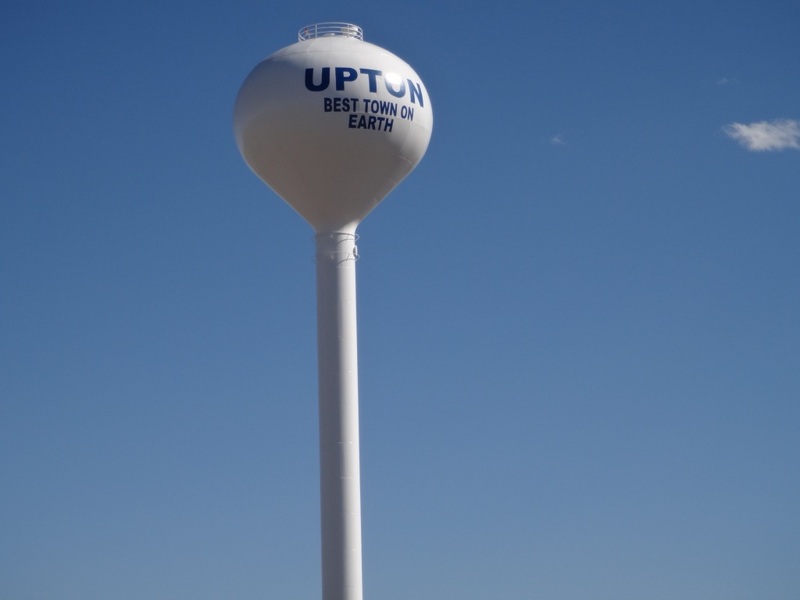 We passed a town called Upton (the best town on Earth). It was nothing but a normal pass quickly through locality with no attractions. We also passed a town called Custer and the unfinished Crazy Horse Monument which will take many more years to complete. We are surprised the the hill and rock they are chipping away is actually small. We heard once completed it will be the largest monument in the world. Crazy Horse Memorial is part of the Mount Rushmore National Memorial. We are in Hill City for two nights and tomorrow, we will check out Ellis Airforce Base at Rapid City. Also we going on a train ride from Hill City to Keystone and visiting Mount Rushmore - should be a good day and not much driving. Cheers.